The perfect game for people who love baseball! 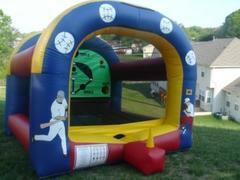 Test your batting skills as the ball hovers in the air by trying to hit a home run. Target holes in the back have different score levels. Plastic bat and 4 balls included.